This view is taken from the area of the former Durham Wharf and looks towards a footbridge and the canal basin. Brentford Lock flats are to the right, the GlaxoSmithKline HQ is the blueish distant building. Prezzo is on the left. 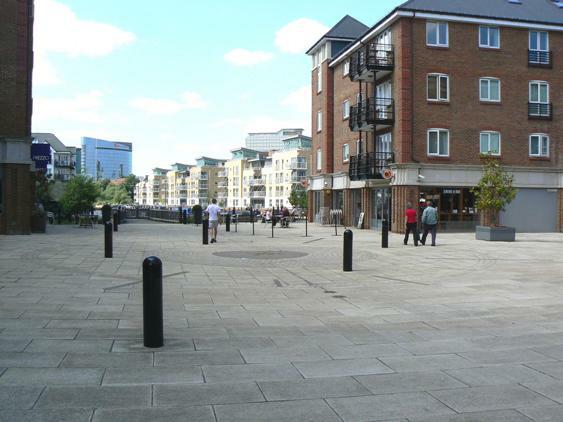 See 'Brentford Then and Now', Carolyn and Peter Hammond, for more photos of this area, modern and older, and to find out more about its history.